According to WalletHub, Atlanta is one of the top cities for retirement in America, landing the No. 8 spot in 2016. 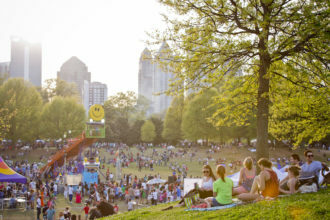 Comparing affordability, quality of life, health care and availability of recreational activities in the 150 largest U.S. cities to determine its rankings, the report shows Atlanta posted high scores for low taxes, weather and cost of living. Another report released in June by GOBankingRates showed Georgia is the No. 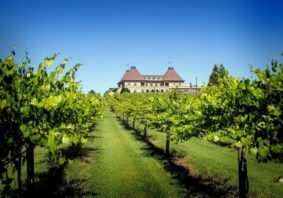 10 best state to retire rich. The ranking methodology was based on an analysis of costs that affect retirees, including taxes, living expenses, banking, health care and Social Security. While retiring rich — or at least at a financially comfortable level — tops the wish list for many retirees, once you have settled on Atlanta, there are numerous living options to explore. 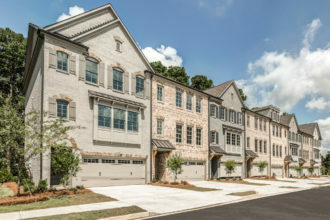 Below, metro Atlanta’s top retirement communities share the features, amenities and distinct design elements that make their respective housing options perfect for living out your golden years in the Southeast. 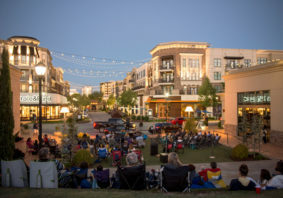 Recognized in both 2013 and 2015 as one of the 50 best master-planned communities in the United States by Where to Retire magazine, Soleil Laurel Canyon also won two 2012 OBIE awards for Atlanta’s 50+ Community of the Year and best amenity package, and was named the Grand Aurora Award winner at the 2014 Aurora Awards, a design competition of the Southeast Building Conference that honors excellence in building and design. Residents enjoy exceptional recreational amenities, including a 28,000-square-foot clubhouse, gourmet teaching kitchen, fitness center, aerobics studio, library, performing arts theatre, card rooms and an arts and crafts workshop. 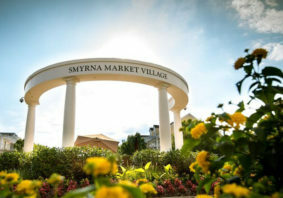 The outdoor offerings complete the resort-style environment, allowing members of the community to spend the day outside at the tennis center, take in a performance at the amphitheater, stroll through the community garden and visit the greenhouse, take a dip in the lagoon-style pool or go for a walk on the nearby trails and adjacent Fairways of Canton golf course. A full-time lifestyle team ensures a broad array of activities for active adults. The homes of Soleil are built with active adults in mind. Wide doorways with low thresholds offer maximum accessibility. In addition, Soleil homes have optional basements that are perfect for craft rooms, game rooms, movie theatres or even guest suites for visiting kids and grandkids. Flexible floor plans make every home the perfect fit for Soleil homeowners. For example, the Mansfield plan has an optional dual master for couples that might need extra personal space. Where spacious porches meet a tranquil shoreline, those looking for a serene lakefront hideaway will discover a slower pace of life at Sterling on the Lake. But for times when social fun is on the agenda, residents can enjoy endless programmed events and activities to get out and mingle with neighbors. 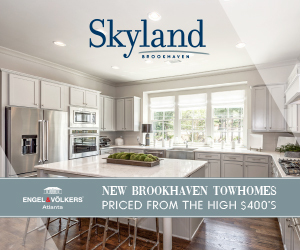 Several Sterling on the Lake models offer an open, spacious floor plan, featuring both the living room and master bedroom on the first floor. All homes feature a “zero entry” shower, which makes the shower easily accessible for wheelchair users. 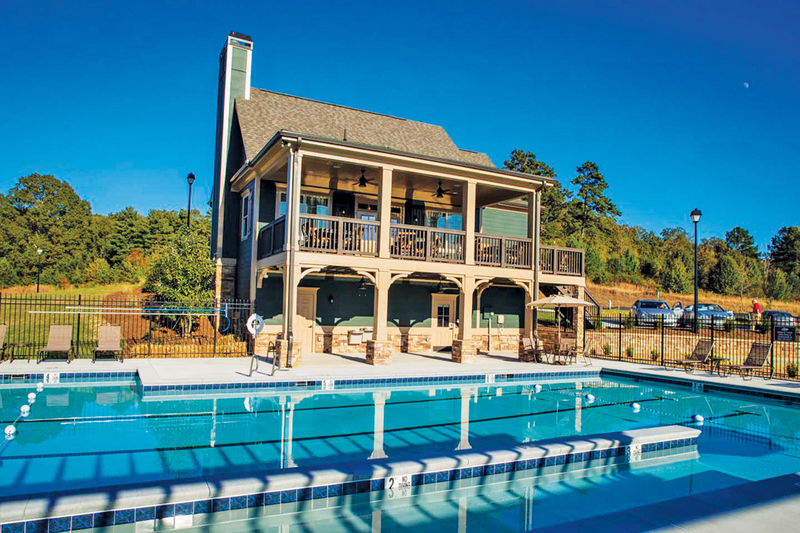 The Lodge is the newest edition to the Sterling on the Lake community. Located in the Springs neighborhood, the clubhouse is open to all residents and features a gathering room and kitchen perfect for entertaining friends. Plus, it’s a great place for a fun game of bocce ball in the outdoor court or for lounging by the pool. The community employs a full-time activities director that plans adult book clubs, empty-nesters groups, lakeside campouts, boot camp fitness and yoga classes and more. If you’re seeking an easy-living lifestyle highlighted by relaxing walks on the trails and quiet evenings on your porch — all without having to lift a finger in your yard — this community is one to consider. Homebuyers in their encore years are in a stage of their lives when they wish to age in place, and Lake Arrowhead offers several single-level living ranch home options that make this not only possible, but an optimal way to live amongst the north Georgia pine trees and with breathtaking lake views. 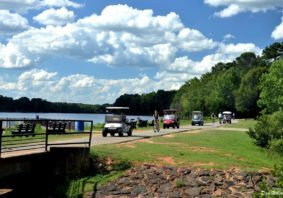 The 24-hour gated community offers residents great peace of mind as they explore the challenging fairways on the community’s championship golf course or scenic mountain hiking and running trails surrounding the 540-acre lake. Also among the community’s lifestyle offerings are boating, fishing, a swim and tennis center with a junior Olympic-size pool and avid tennis and pickleball leagues, and a neighborhood church. Just at the end of the summer, construction crews completed the area’s new lakefront community, Sanctuary Cove. Located at the north end of the lake, Sanctuary Cove is an intimate 28-lot community offering commanding views of Lake Arrowhead. In July, Lake Arrowhead began accepting contracts to purchase homes in this new community, with buyers having the opportunity to choose from the newly designed portfolio of homes ranging from 2,000 to over 3,000 square feet with open floor plans, stunning features and expansive outdoor living areas. Meticulously designed to complement the natural surroundings, the Majestic Lifestyle Builders home designs are defined by thoughtful architectural details. This master-planned community consists of three separate neighborhoods, with The Retreat neighborhood specifically designed for active adults. 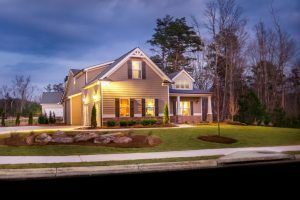 Developers say research has shown this market segment prefers exterior elevations that bear character and personality, so the community is full of charming Craftsman-style homes featuring three and four-bedroom models. The interiors feature all the latest conveniences: gourmet kitchens, open floor plans, vanity baths, hardwood floors and wide doorways. Most of the homes in The Retreat are single-level, have low-maintenance yards and — especially important — golf cart storage. The homes are situated within walking or golf cart driving distance to the adults-only saline swim facility and private clubhouse. Surrounded by nature trails, the community is perfect for hiking, biking and walking. For man’s best friend, there is NatureWoof dog park in the neighborhood. Those with a green thumb will appreciate the neighborhood horticulture center for growing fresh vegetables and flowers, and others looking to work on their swing can take advantage of six nearby public, semi-public and private golf courses. 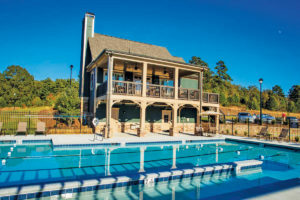 And for when grandkids visit during the summer, there’s a 13-acre, resort-style waterpark and clubhouse located conveniently inside the community.